In discussions on contemporary South-East Asian politics, a gap exists between the growing discourse on nationalism and national leadership and the gendered perspective on Benedict Anderson’s narrative on nationalism. 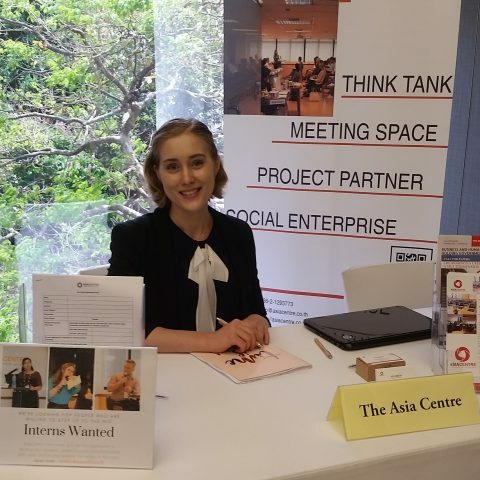 To address this gap, a diverse and experienced panel, together with an audience of around 35 attendees, held a ‘conversation’ on multiple interconnected issues surrounding feminism, nationalist expression, political control, and women’s leadership in the post-modern political landscape. The occasion was the annual Benedict Anderson Memorial Roundtable, held on 19 January 2018. 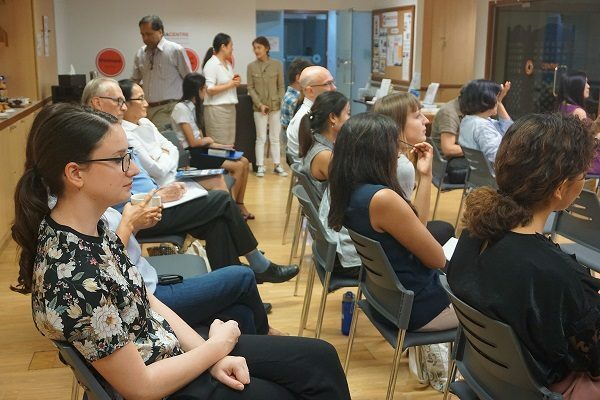 Asia Centre hosts the annual Benedict Anderson Memorial Roundtable to honour the significance of the late professor’s contribution to studies of nationalism and South-East Asia, and to continue the debate around nationalism in its contemporary contexts. 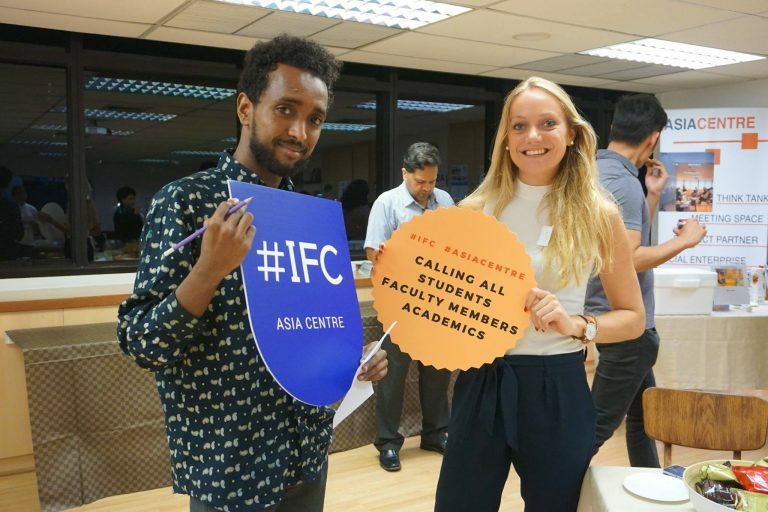 The inaugural Roundtable was held on 30 January 2016, with the theme Debating Imagined Communities: A Tribute to Benedict Anderson. The second Roundtable, held on 18 January 2017, centred on the topic Nationalism, Citizenship and Statelessness: Current Issues and Developments in Asia. The third Roundtable, entitled Gender and Nationalism in Asia: from Scholarship to Leadership, provided the forum to articulate and critically examine the separation of discussions on nationalism and Benedict Anderson’s work on nationalism, as seen through a gendered lens. The event was moderated by Ms Puja Singh, a teacher, speaker and doctoral candidate. She opened with a gendered reflection on Imagined Communities, Benedict Anderson’s landmark work on nationalism, inviting the audience to consider women’s identity in relation not only to men, but also to ‘nation’. 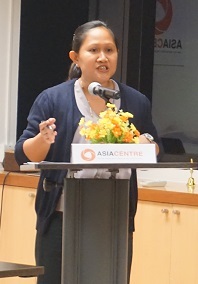 Ms Emerlynne Gil, the senior international legal advisor on South-East Asia at the International Commission of Jurists’ Asia and Pacific Regional Office, argued that in post-colonial contexts, women’s political emancipation often lags behind emancipation from foreign oppression, despite the efforts of feminists within anti-colonial struggles. She argued that this disconnect remains an ongoing feature of the Congress of the Philippines, where the relatively high proportion of female politicians obscures the patriarchal forces that place them in positions of leadership and, thus, hinders the promotion of a feminist agenda. 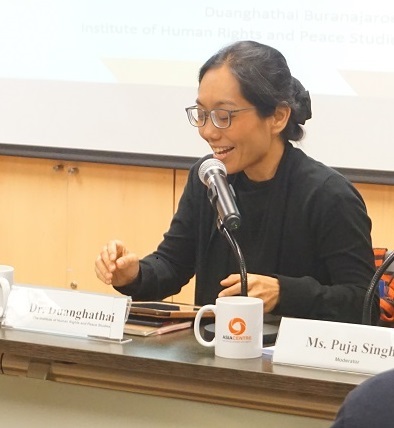 Dr Duanghathai Buranajaroenkij, a professor at Mahidol University’s Institute of Human Rights and Peace Studies, discussed her research on the growing political activism of pro-monarchist women in Bangkok and Muslim women in Thailand’s Deep South. While their entry into the political sphere is facilitated by the adoption of identities “approved” by male leaders and family members, such as overt patriotism or conservative Islamic dress, women continue to find new ways to exercise power and agency in creating space for their political participation. 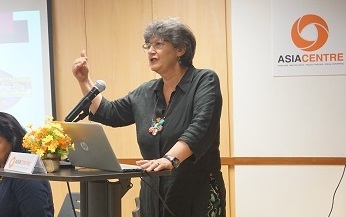 Dr Rosalia Sciortino Sumaryono, Associate Professor at Mahidol University’s Institute for Population and Social Research, highlighted the absence of a gendered perspective in not only Benedict Anderson’s work, but in national governments, human rights agendas, and discourses on power and nationalism. She argued that the election of more female leaders is insufficient to further the feminist agenda; these female leaders must also possess a new vision for the future, while democracy and women’s leadership within the family must be promoted. 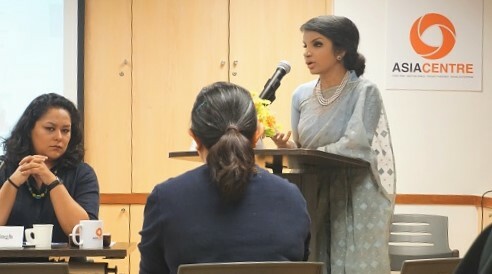 Her Excellency Saida Muna Tasneem, Ambassador of Bangladesh to the Kingdom of Thailand, noted that although numerous female leaders in South-East Asia are elected through their family connections, many have inherited nationalist sentiments from their fathers and husbands, who had themselves used nationalism to mobilise public opinion against imperial powers. She highlighted the success of Bangladeshi Prime Minister Sheikh Hasina, daughter of Bangladesh’s founding father Sheikh Mujibur Rahman, in balancing nationalism and ethnic identity through encouraging ethnic minorities to use their own languages but to use Bangla in schools. In the following discussion, the panel debated the symbolism of the hijab, its contested meaning in the context of pan-Islamic fundamentalism, and its exemplification of a broader equation of nationalism with an imposition of ‘sameness’ and growing intolerance of diversity. The panel reflected on the contributions of women in leadership roles to the promotion of feminism and women’s rights. 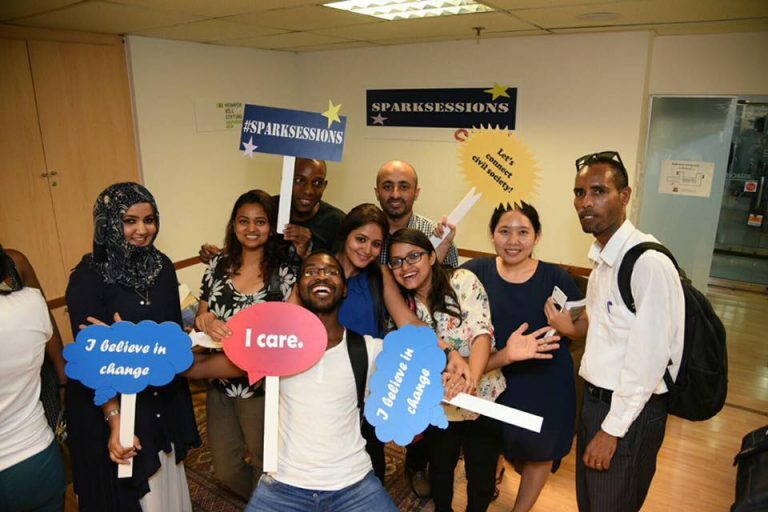 They explored and emphasised the importance of ensuring that gender perspectives are not crowded out by emerging issues, such as the Rohingya crisis or the urgency of post-conflict statebuilding, but are instead utilised to examine these issues in greater depth. Through this continued application of a feminist agenda, the gap between discourses on rising nationalism, gendered understandings of national identity and women’s leadership can be bridged. 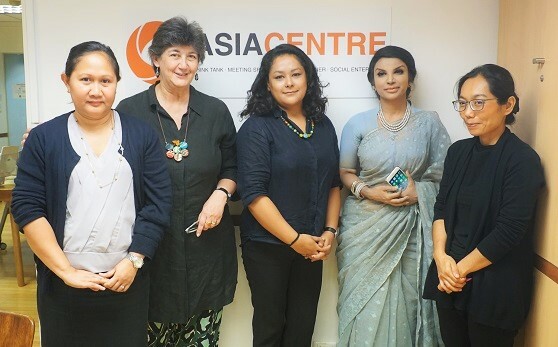 This year’s Roundtable continued Asia Centre’s ongoing commitment to facilitating gender-centred discussion and debate around the human rights agenda. 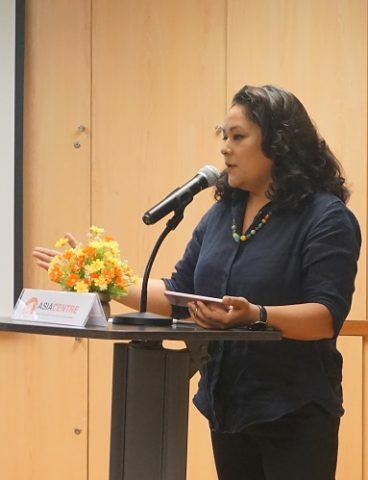 Previous events have focused on Entering Femininity: Reporting Rituals and Violations, which examined practices of female genital mutilation, and Celebrating Women in Law, featuring a panel of female lawyers who discussed access to justice in Southeast Asia. Previous PostCheck out our new Meeting Space video. Hurry up, space available NOW!